One element of spring that I think is symbolic of the new season is the spring scents that fill the air. Fresh flowers, warmer air… it’s delicious! The fragrances that are released for spring are the best, in my opinion, too. They are always so refreshing and really get me in a sunny state of mind. People always say that scents have a powerful association property, creating memories to last a lifetime, which is why I love playing around with switching up perfumes depending on my mood and the occasion. I’ve been kicking around three fragrances in particular this Spring. These are all beautiful scents that are each special in their own way. I’m also proud to display these on my vanity, because each of the bottles is so unique and glamorous. While it might be warmer than most would imagine a spring fragrance should be, this one is right up my alley as my signature spring scent. It’s considered “floral woody” with a woodsy musk, but with zesty florals to lighten it up and give it a brighter mood. There’s also a very subtle sweetness with the coconut notes that are layered in. I reach for this scent the most because of how dynamic it is, with elements for everyone. This is probably the exact scent that comes to mind when you think “spring.” A mix of citrus and floral with just a hint of musky vanilla, it’s serene and invigorating all at once. It’s not as sweet as it’s sister scent Bella, with more of a tanginess to it. You can’t deny how gorgeous the ornate bottle is, but you can also get this in an affordable rollerball if you find yourself having trouble finishing full-sized fragrances. The newest addition to my spring arsenal, Amaze is a sweet and spicy floral fragrance with notes of grapefruit, apple blossom, orchid and jasmine, but rounded out with blonde woods and vanilla. It’s seductive and confident, and a good middle ground between the other two scents on the spectrum of musky vs. bright. 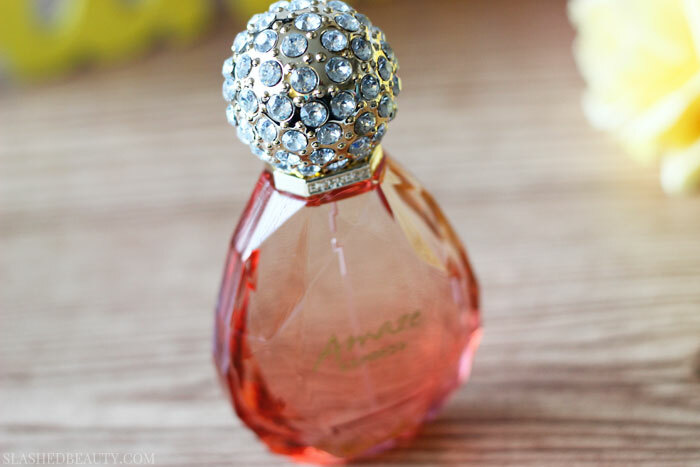 Again, the bottle is display-worthy with a rhinestone encrusted sphere cap, but you can also grab the rollerball for an easy-to-carry size for on the go. There’s something special about finding scents that help you express your mood and give you a spritz of confidence. 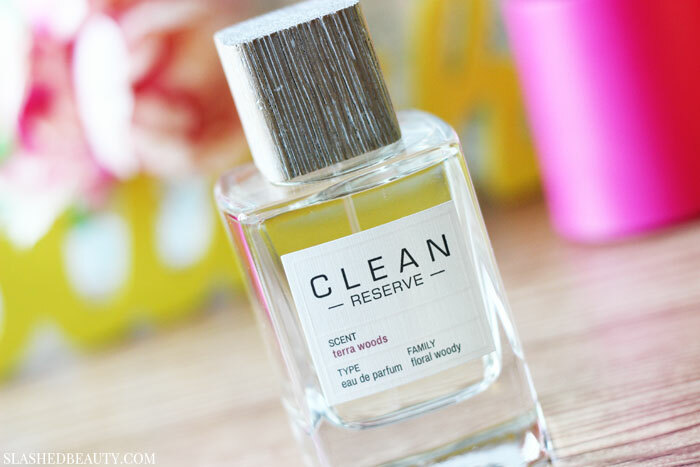 Since perfume can last years and years in the bottle, splurging once in a while is easily justifiable, but grabbing the rollerball or smaller bottles is a good alternative if you like to switch things up a lot. 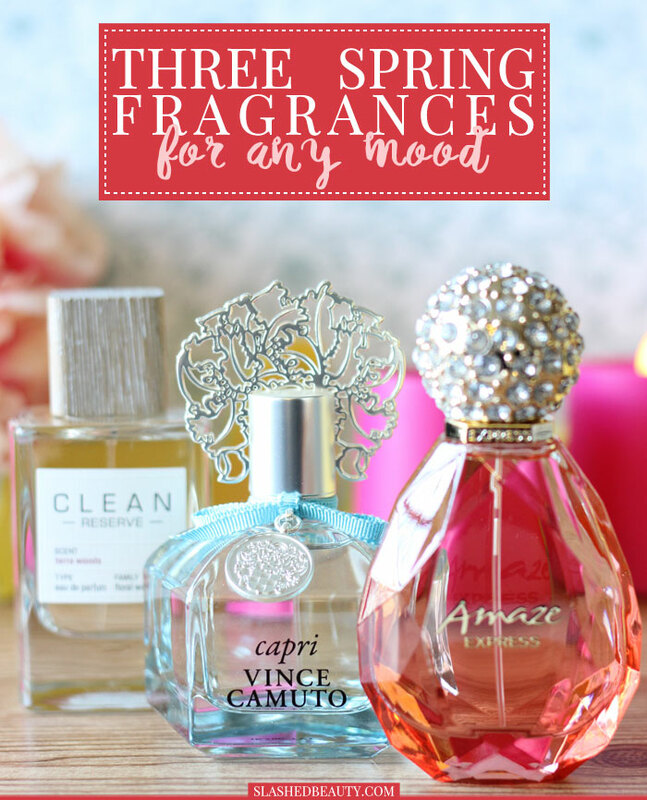 What is your favorite spring scent at the moment? I haven’t tried any of these. 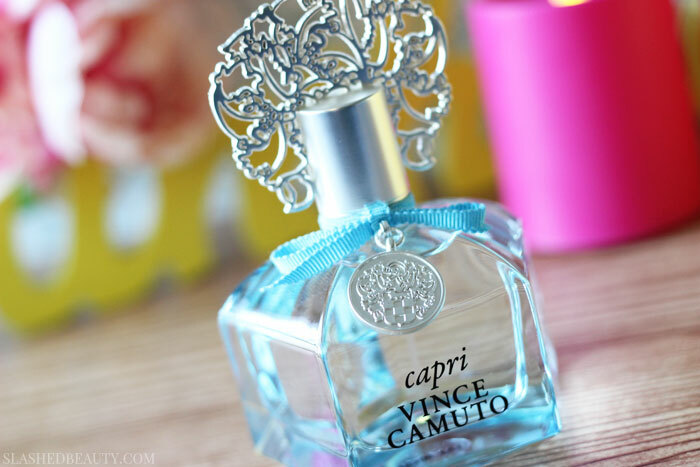 I’ve tried other Vince Camuto scents and liked them, but I don’t have any currently. I don’t wear scents according to season. I’ve been really into Elizabeth & James Black Nirvana and YSL Black Opium since getting them for Christmas. I wear Lady Gaga Fame Black Fluid, Katy Perry Killer Queen, Juicy Couture Couture La La, and Pacifica Tuscan Blood Orange a lot, too. You must! White Nirvana is really good, too. It’s a little lighter, and probably will be a good one for spring. Haven’t tried any of these. I am loving the new Missoni fragrance at the moment. Oooh I’ll have to find it and take a sniff!